Bell Cottage is a period-style single storey cottage built in 1997 as an extension to The Bell House, which is reputed to have been the refectory of a monastery originally on the site during the 12th Century. 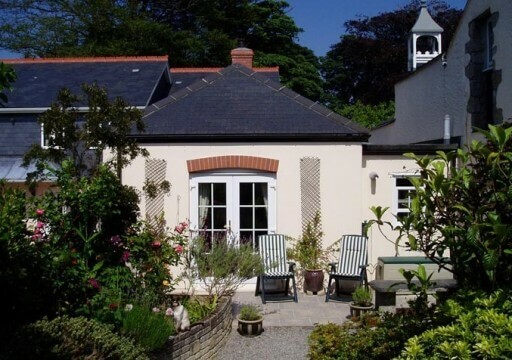 Situated on the outskirts of the ancient town of Penryn, the cottage is approached through the private parkland of the old manor of Kernick. The cottage is set within an old walled garden which has been developed into a courtyard of attractive character properties overlooking flower beds and a central fountain. Upriver from Falmouth, Penryn was given its Charter in 1259 and flourished as a busy port in Tudor times, exporting granite from quarries at nearby Mabe until the last century. The old character of the town has been preserved with some fine Georgian buildings, cobbled square and many winding opes (alleyways). The busy port of Falmouth, with its glorious sweeping bay, long seafront, and sandy beaches is about three miles away. Henry VIII built Pendennis and St. Mawes Castles in the mid 16th Century on opposite sides of the Fal Estuary to protect the anchorage which, today, is one of the great sailing and watersports centres of the world and is home to the highly acclaimed National Maritime Museum Cornwall. 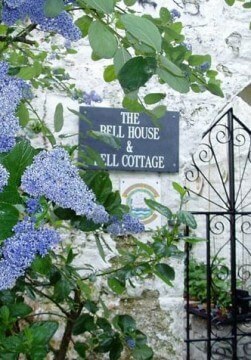 Bell Cottage is spacious and is furnished in a comfortable, traditional style with many personal touches and extras. Fully equipped for two people, the cottage comprises a large living/dining room, kitchen, attractive bedroom with king size bed and shower room. French doors lead onto a small private garden and patio. There is a private parking space and all guests are provided with a “welcome” pack of breakfast groceries. 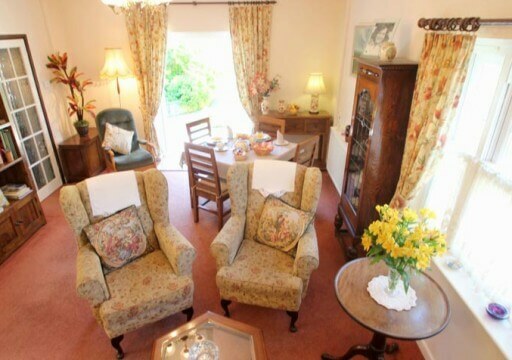 Being all on one level, Bell Cottage is suitable for guests with limited mobility and an Access Statement giving fuller details is available. The owners, Penny and Alan Snow, live in the adjoining house and will gladly help with information or assistance. 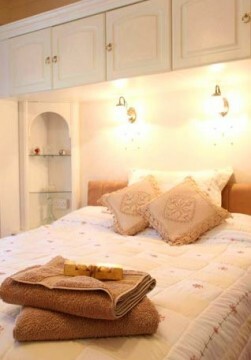 Short breaks out of season are available, details on request. Sorry, no dogs or smoking within the cottage.